WASHINGTON — The country’s top protector of the environment’s first U.S. Senate appearance should occur before the Environment and Public Works Committee, the chairman of the committee told Transport Topics on July 11. 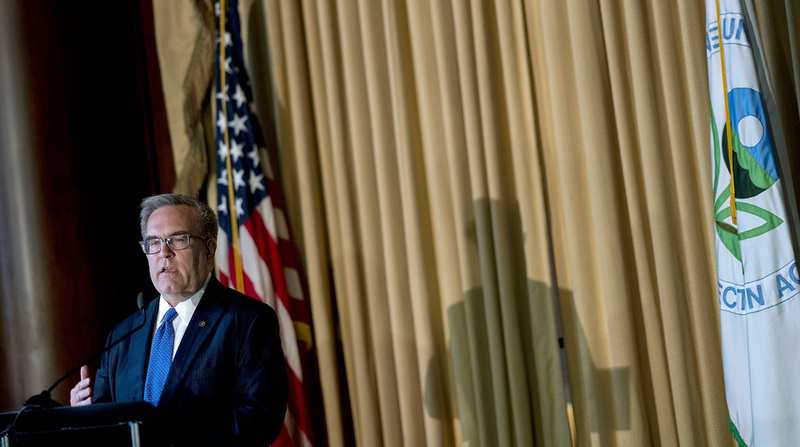 Andrew Wheeler, deputy administrator at U.S. EPA, took on the role of acting chief July 9 after the abrupt resignation of the agency’s most recent administrator, Scott Pruitt. “I’ve visited with him, and Sen. [Tom] Carper talked with him, as well. He is [taking] the directions from President [Donald] Trump to continue to roll back the punishing regulations that America has been living under as a result of the Obama administration. So, he’s continuing with those programs that the president has suggested that he work with. He’s going to continue that, ” EPW Chairman John Barrasso (R-Wyo. ), said after a hearing on infrastructure funding. Delaware Sen. Carper is the committee’s ranking Democrat. “I’ve talked with [Wheeler] about coming to the committee. And he was a former staff director for this committee, and he and I both think it would be appropriate that this is the first committee that he comes to testify to in the Senate,” Barrasso added. The chairman did not specify when a hearing would be scheduled for Wheeler to testify. Wheeler worked at the committee for more than a decade in various capacities, such as majority staff director. He went on to lobby for coal giant Murray Energy Corp.